PWAG Board Member Lourdes Borgonia demonstrates an experience of a screen reader user. ATRIEV School for the Blind Executive Director Llanes gives his welcome remarks. ATRIEV School for the Blind President Tony Llanes gives his welcome remarks. 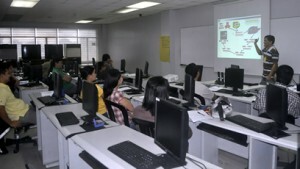 The National Computer Institute – Information and Communications Technology Office (ICTO) conducted a one-day soft launch of HTML Training with Basic Web Accessibility Guide at NCC last July 20 at NCC-ADOC Computer Laboratory in Diliman, Quezon City. The training was conducted by Philippine Web Accessibility Group President Jojo Esposa and Board Member Lourdes Borgonia. 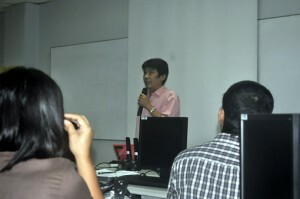 ATRIEV Executive Director Tony Llanes also provided lectures on how a screen reader user views a website. Borgonia and Esposa also gave on-site web accessibility evaluation of web designers who attended the soft launch. Department of Justice Web Developer explains the web accessibility improvements of their site. The seminar-soft launch was attended by more than 20 participants from various government agencies. These includes Department of Justice, National Bureau of Investigation, PhilHealth Insurance Corporation, Government Service Insurance Corporation, National Statistics Office and Bureau of Internal Revenue. HTML Training is one of the programs offered by NCI. This time, through the joint initiative of Philippine Web Accessibility Group (PWAG) and National Council on Disability Affairs (NCDA), web accessibility became a integrated component of the program. Jojo Esposa explains PWAG's history. NCC-ADOC Coordinator Ms. Angelita Nicolas spearheads this activity together with NCI Training Course Officer Caljer Caldo. This activity is part of National Computer Center’s (NCC) contribution to the annual National Disability Prevention and Rehabilitation Week Celebration which is already on its 34th year. NCC is one of the council members of the National Council on Disability Affairs (NCDA). 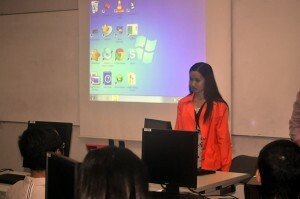 Ma’am Nicolas is the chairperson of NCDA’s Sub-committee on Information and Communications Technology.